Don’t let a generation gap prevent you from marketing your salon successfully. Join the SCC Cosmetology 2011 License Renewal Seminar. Generational Marketing is the method of marketing to a specific generation that affects the way that we promote and sell products and services. According to the Nielsen Company, each generation of the U.S. Population has unique wants and needs that marketers and retailers should address differently. Take back great ideas to use immediately at your salon to give each of your clients the most individual treatment they deserve! Class will include lecture, breaks, discussions, activities, PowerPoint presentations and live demonstrations for each generation. Participant handouts will be provided. Lunch will be on your own. • Who are you marketing? Register now and save — Pre-registration is $65 or $75 at the door. You must bring one picture ID and your cosmetology license. Course content is approved for six hours of continuing education for 2011 license renewal for cosmetologists licensed by the S.C. State Board of Cosmetology. 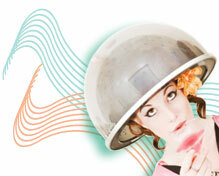 You must possess a current S.C. Cosmetologist license. Need to learn more about AutoCAD – Computer-aided Design? SCC Corporate & Community Education is offering an AutoCAD 2010 Level 1 class beginning September 20, 2011. AutoCAD software is widely used in architecture, engineering, construction and the automotive manufactuing industry. Design and shape the world around you with the powerful, flexible features found in AutoCAD design and documentation software, one of the world’s leading 2D and 3D CAD tools. Speed documentation, share ideas seamlessly, and explore ideas more intuitively in 3D. Reserve your seat – Register Now! Learn more or Register Online! Love taking pictures? Want to improve your photography skills with digital technology? SCC Corporate & Community Education is offering a Basic Photography class starting September 19 at our Cherokee Campus in Gaffney. This hands-on class will teach you how to use a camera to control exposure, color balance as well as determining what settings to use to take good pictures. You will learn photography terms and explanations as applied to emerging world of digital photography. SCC Corporate & Community Education is offering General Contractor Exam Review and Residential Builder Exam Review courses. Obtaining your license is the first step in building your business and building your financial freedom. Statistics have shown that exam candidates who have taken advantage of study courses and materials greatly increase the chances of passing their exam on the first try. Register online or call us at 864-592-4900. SCC Coporate & Community Education is offering Web Design Certificate, Parts 1 through 3, beginning September 12, 2011. This is a great opportunity to learn how to build attractive and functional web sites. SCC’s Web Design focuses on the fundamental technical and aesthetic skills required for this challening field. The instructor is top notch and provides you with great advice and tips for web site success. Reserve your seat today! Learn more or Register Online.